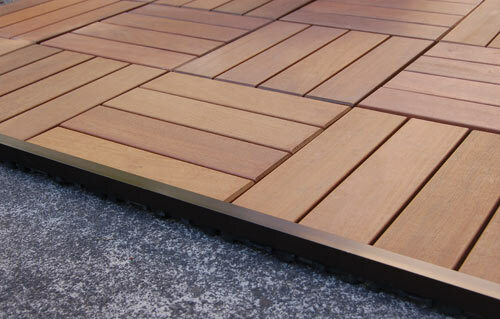 The HandyDeck Colorado Style Deck Tiles are made using real Ipe wood slats attached to perforated interlocking drain tiles. 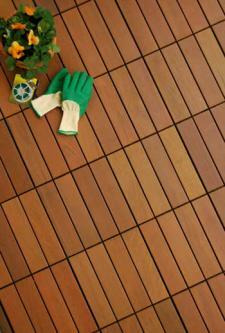 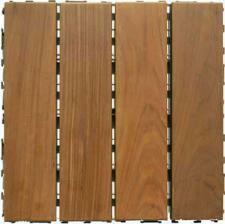 Ipe is one of the most resilient, weather resistant types of wood commonly used for commercial patios and boardwalks. 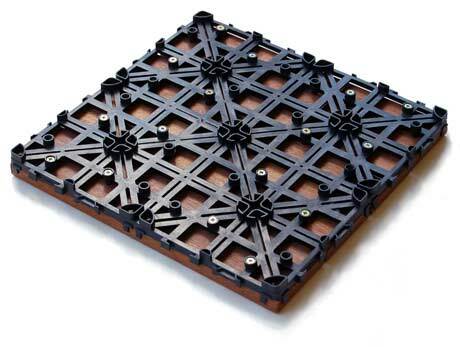 These wooden decking tiles come as 12" x 12" Interlocking tiles for quick and easy installation over an old existing patio or to create a brand new outdoor space. Combine the Ipe Wood Deck Tiles with Sierra or Double-C styles for additional design options. 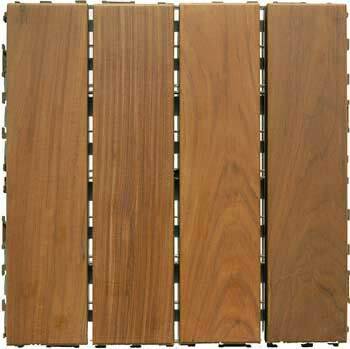 Carton Size 15" x 13" x 13"
HandyDeck products can be used for outdoor living spaces like patios, decks, and balconies as well as indoor use for applications such as spas, saunas, basements, etc.